GoSea Pioneer is a compact Single Sit-On-Top Kayak that offers a fantastic level of stability for a lightweight Kayak, allowing you to concentrate on simply having fun. 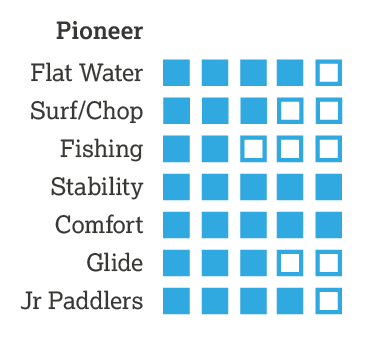 Designed for one person, the Pioneer Sit-On Kayak is both very comfortable and stable. It is the perfect companion for short or long trips on the river or bay hopping. The GoSea Pioneer includes a central sealed storage hatch and a further storage area at the stern where more equipment can easily be held in place by the bungees. The GoSea Pioneer Kayak weighs just 21.5kg and can carry a maximum load of 120kg. It is very easy to carry due to the conveniently located side handles plus the two extra at the bow and stern. The GoSea Pioneer is stackable with other Pioneer Kayaks due to its long rounded keel. 6 Inch Central Hatch with Liner - Liner is not Waterproof! Each kayak has an individual serial number printed on the warning label. This unique number allows the kayak to be tracked from the factory to you and gives you piece of mind that in the event of loss or theft, your kayak can clearly be identified. 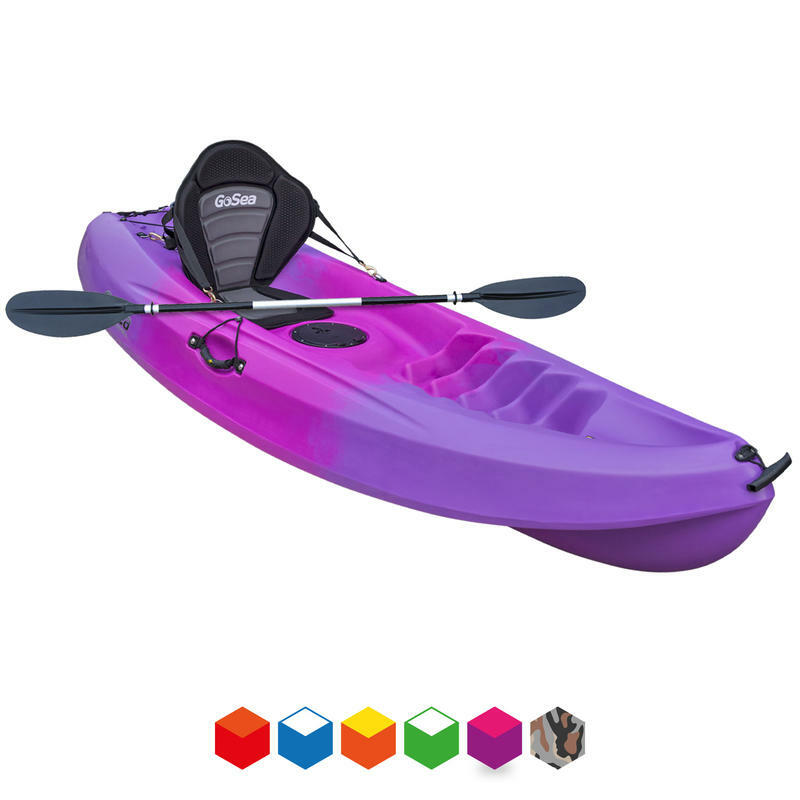 GOSEA kayaks are warranted against material or manufacturing defects in the hull and deck for three years from the date of purchase. Parts, accessories, and outfitting are warranted for a period of one (1) year against material or manufacturing defects from the date of purchase. Select the bundle you require, with your choice of colour, from the drop-down-menu at the top of the page.